Tevin Campbell made an unannounced appearance at the D23 EXPO last night for a surprise performance at the A GOOFY MOVIE 20th ANNIVERSARY panel. Reprising his voice work from the original film, he performed the infectious “Eye to Eye” on stage accompanied by surprise dancers planted in the audience who performed the actual choreography from the film. And yes, even the Perfect Cast! We’ll have full video of the entire panel in a few days but for now enjoy video of surprise performance that had attendees dancing in their seats! 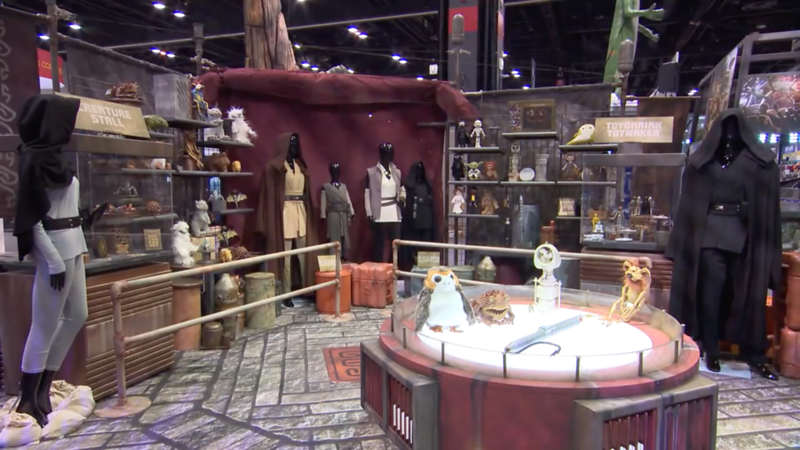 Check out our D23 EXPO coverage all weekend long! Follow us on Twitter and Facebook to stay connected.